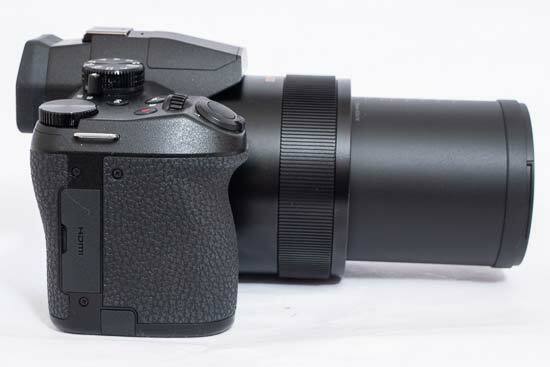 Announced in February 2019, the Panasonic Lumix FZ1000 II bridge camera follows on from the FZ1000, but sits below the FZ2000. A super-zoom camera featuring a one-inch 20 megapixel sensor and a 16x optical zoom lens offering an equivalent of 25-400mm, the FZ1000 II is designed to appeal to holidaying photographers who want to travel (relatively) light. More of an incremental upgrade from the original FZ1000 than a complete overhaul, the sensor, processor and lens are the same. Touch-sensitivity has been added to the screen’s spec sheet, Bluetooth is now available as well as Wi-Fi, plus there have been some changes made to the button layout. Zoom Compose Assist has also been added to help when shooting with longer focal lengths. 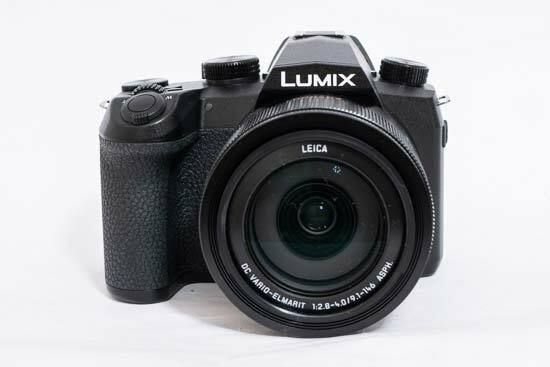 Other features offered by the Panasonic Lumix FZ1000 II include 4K Video, and, as is standard for all current Lumix cameras, 4K Photo, 12fps shooting, a 2.36-million dot OLED electronic viewfinder and USB charging. At the time of writing, the Panasonic FZ1000 II retails for around £769 / $899, making it around £100 / $100 cheaper than the FZ2000. The Panasonic Lumix FZ1000 II uses an extremely similar design to its outgoing predecessor, the FZ1000. At first glance it would be easy to mistake the camera for one of Panasonic’s compact system cameras, or even an entry-level DSLR. It uses a chunky grip, with a textured coating that makes it very comfortable to hold. 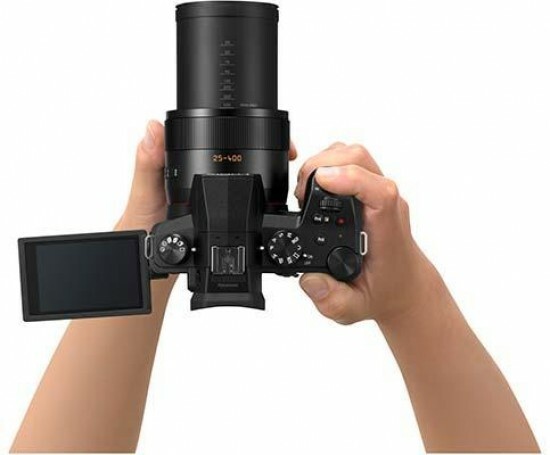 While it has the overall impression of a DSLR or mirrorless camera with a lens attached, the FZ1000 II ould be compared to having a mirrorless camera with several different lenses in your bag, making it ideal for those who want the flexibility of multiple focal lengths, while travelling light. 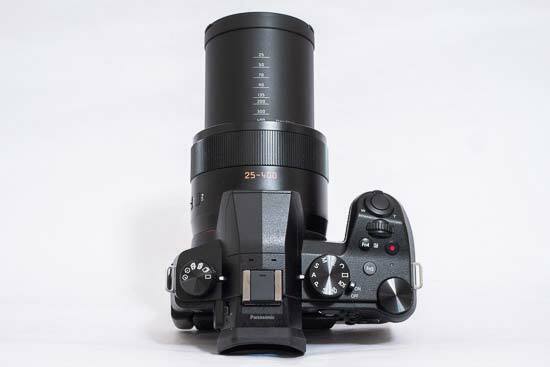 Not only is the size and shape comparable to a mirrorless camera, but Panasonic has used an extremely similar button layout and configuration to its G series of Micro Four Thirds models. On the top of the FZ1000 II is a mode dial which contains a range of modes including fully automatic, scene, panorama and manual and semi-semi-automatic modes. Around the mode dial is the camera’s on/off switch. When the FZ1000 II is off, the lens contracts back into the body to make it slightly more compact. 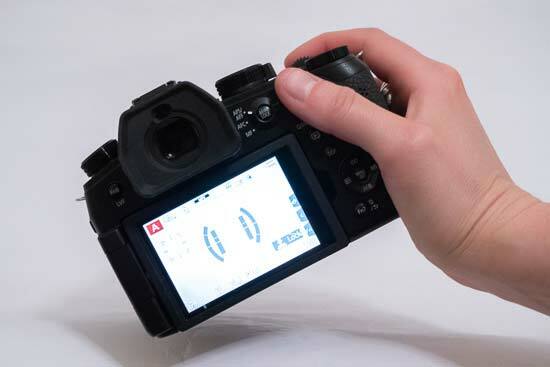 Flicking the switch into the on position automatically extends the lens out from its compressed position. On the left of the Panasonic Lumix FZ1000 II's top plate is another dial, which you can use to select drive mode. As well as single shot and continuous shooting, this is also where you’ll find 4K Photo, Post Focus and self-timer options. Also found on the top plate are a couple of customisable function buttons, and dual control dials for adjust various settings depending on the shooting mode you’re in (the most common being shutter speed and aperture). Around the lens barrel you’ll find a ring which can be customised to control various settings depending on your preference. An obvious choice could be to use it to extend the lens itself, but you can also assign functions such as exposure compensation, sensitivity, and even Filter Effect. On the side of the lens barrel is a further three function buttons which can also be assigned functions as you see fit. By default, the bottom of these three buttons accesses the new Zoom Compose Assist function, which is very handy. If you’re shooting at long focal lengths and the subject disappears out of the frame, you can hold down this button and the lens will zoom out, allowing you to re-find your subject. Once located, release the button to zoom back to the previous focal length to continue photographing your subject. It’s something we’ve seen before from other bridge camera manufacturers, and is implemented well here, being located in a handy position to be reached naturally. The back of the Panasonic Lumix FZ1000 II is also replete with large number of buttons, but most of them are located on the right hand side for easy one-handed operation. 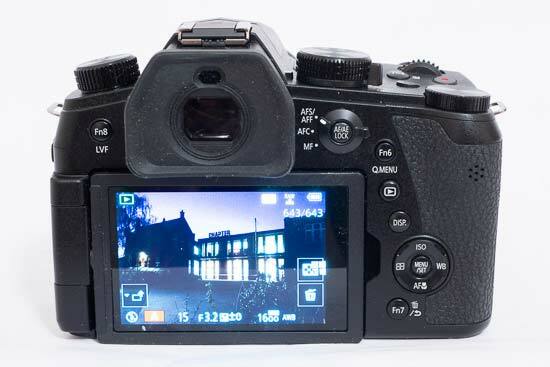 The exception to this is function button no.8, which by default controls whether or not the LVF (electronic viewfinder) is on, off or set to automatically activate when the camera is lifted to your eye. Otherwise, the rest of the buttons are laid out in a similar fashion to the outgoing FZ1000, as well as other G series cameras. There is a four-way navigational dial which can be used to quickly access different settings including ISO, white balance, AF mode and macro mode. The middle button of the navi-pad accesses the main menu where you can change a variety of in-depth settings, including assigning tasks to the various function buttons spread across the camera’s body. A Quick Menu can be accessed by pushing function button 6. Here you’ll find a range of parameters that you’re likely to want to change on a regular basis, saving you from having to delve into the main menu. There’s options including Photo Style, Flash Mode, Image Quality (including the option to switch on/off RAW), AF mode, metering, sensitivity and exposure compensation. If you don’t like any of the options which are found in the Quick Menu, this can also be customised to better suit your particular shooting preferences. There is one more customisable function button, as well as a playback button found on the back of the Panasonic Lumix FZ1000 II. A switch is used to move between different focusing modes (AF-S/AFF, AF-C and MF), with a button in the middle of the switch which is for activating AF/AE lock. The FZ1000 II features an OLED electronic viewfinder which by default automatically activates when lifting the camera to your eye. It is relatively large and gives a good, clear view of the scene and is useful both for those who prefer to compose in this way, and when bright sunlight might stop you from using the screen effectively. The screen is a 3-inch fully articulating device which is touch-sensitive. You can use the touch-sensitivity for a number of different functions, including setting the AF point and navigating through menus. Enabling Touch Pad AF in the main menu lets you keep using the touch screen even when looking through the viewfinder, which can be very useful for quickly moving the focus point. Although Wi-Fi was included on the previous FZ1000 camera, a new addition to the Panasonic Lumix FZ1000 II is Bluetooth. With Wi-Fi connectivity you can transfer files from the FZ1000 II to your phone for quick sharing on social networking sites. You can also use the free Image App on your smartphone to take remote control of the camera, which can be useful for shooting group shots and so on. By adding Bluetooth, the camera can maintain a constant low-power connection with your smartphone for quicker and more convenient image transfer. Focusing is generally quick and accurate when shooting in good lighting conditions. Setting the FZ1000 II to AF-C allows you to track moving subjects - I’ve found that the camera can do this with a reasonable degree of success when following a fairly predictable subject. In low light, focusing is a little slower, but it’s rare for a false confirmation of focus to be displayed. The overall operation speed is very quick, too.